Think of The Grand Budapest Hotel (2014) and pink pastels, purple uniforms, and the occasional splash of red may come to mind, offset by the ochres and faded wood grains of the scenes that frame the main story. Moonrise Kingdom (2012)? Yellow and lush greens. 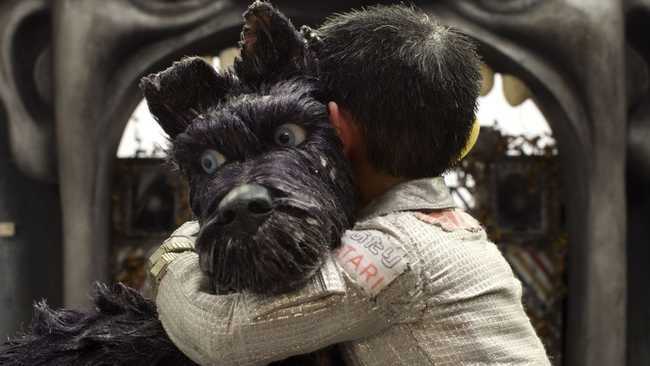 And Isle of Dogs, Wes Anderson’s second stop motion animated feature after Fantastic Mr. Fox (2009; rich oranges and browns): black and blood red. All skies are white-ash gray, the under-lit election rallies have a heavy 1984 air about them, and the main setting is the isle of the title, a dumping ground where grimy rats scamper over the mounds of garbage, mosquitoes hover, and emaciated dogs, ticks wandering unattended through their ravaged fur, fight over maggot-infested scraps discarded by the distant city of Megasaki. Anyone expecting that the Japan of Wes Anderson’s imagination might be as serene and just-so as an Ozu pillow shot is in for a rude surprise. For one thing, Anderson has said that he’s drawn inspiration primarily from Akira Kurosawa, whose Dodes’ka-den (1970), by the way, is set in a shantytown atop a garbage dump. For another, it’s 2018. The set-up is simple, the political allegory overt, but the story gets complicated. Some viewers may be grateful that every twenty minutes or so one character or another halts the relentless storytelling machinery for a quick summing up. But in brief, cat-loving Mayor Kobayashi (voiced by Kunichi Nomura) has exiled all the dogs of Megasaki to the aforementioned isle under the pretense of a set of alternative facts involving an outbreak of snout fever. His adopted nephew, Atari (Koyu Rankin), heads to the isle in a tiny single-engine plane to find his beloved bodyguard dog, Spots (Liev Schreiber). When he crashes, he falls in with a pack of five canine friends, Rex (Edward Norton), Boss (Bill Murray), King (Bob Balaban), gossip-loving Duke (Jeff Goldblum), and the lone stray, Chief (Bryan Cranston). Back in Megasaki, the vastly outnumbered members of the resistance led, interestingly enough, by an American foreign exchange student, Tracy (Greta Gerwig), struggle to expose the conspiracy behind the dogs’ exile and the truth behind the murder of Professor Watanabe (Akira Ito), who, with his assistant, Yoko-Ono (Yoko Ono! ), has found a cure for dog flu and snout fever. A good number of subplots and side stories fray from that main thread. For all its darkness spiked with terse moments of gore, some of it comic, some of it not, Isle of Dogs is a delight. The bonds between friends are genuinely moving (and the glassy eyes of these characters can be remarkably expressive), the deadpan enthusiasm with which plans are laid out and maps are drawn up (reminiscent of Sam Shakusky’s in Moonrise Kingdom) is endearing, and, as always with Anderson, above all, the design is enthralling. Besides looking to the Japanese cinema of the twentieth century and the woodblock prints of the nineteenth, Anderson unabashedly mixes and matches technologies at will. Robot dogs seem to have been wheeled in from a sci-fi B-movie dating back decades. The rounded edges of the 4:3 television screens flicker in black and white, while broadcast studios have a late fifties, early sixties feel to them. Computers, some with eighties-era lines of green text, others capable of truly futuristic light shows, can be hacked, but they also print out punch cards. Because punch cards are cool, especially when they’re adorned with what appears to be letterpress text—red again—in both English and Japanese. Having shown us his version of the life aquatic, taken us on a bumpy spiritual journey to India, and explored the dark heart of Mitteleuropa, Wes Anderson now gives us a cartoonish yet complex vision of a place where things can change for the better. And for the sake of honor at that. The Berlinale’s Forum will be presenting Josephine Decker’s Madeline’s Madeline, which premiered last month at Sundance. 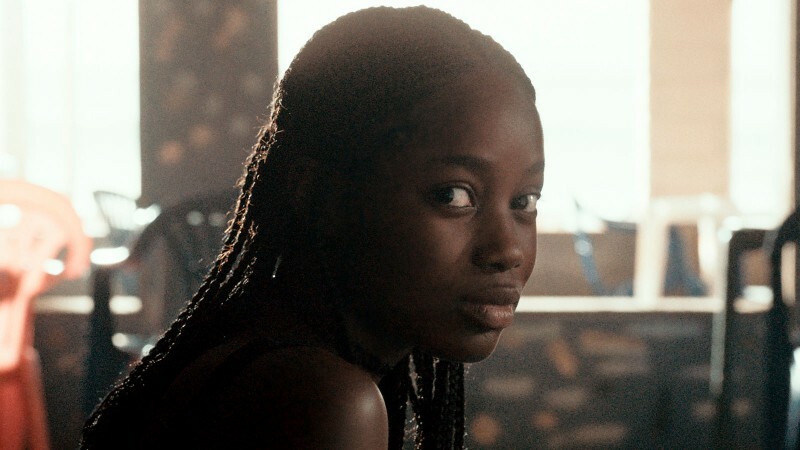 I gathered reviews, interviews, and so on at the time, so here I’ll just briefly add to the chorus: Madeline’s Madeline reconfirms Decker as one of the most innovative and exciting filmmakers around. Even if that sense of revelation one felt seeing her first two features, Butter on the Latch and Thou Wast Mild and Lovely, isn’t quite as vibrant as it was when they appeared all but simultaneously four years ago, she retains that singular approach to surfaces, objects, rooms, faces that seems to render them visible for the first time. The air itself breathes, alive with light. There’s a lusty restlessness to this film, borne of a long process of honed improvisation, that makes the news that, for her next project, Decker’s ventured into VR hardly a surprise. And yes, it’s Helena Howard, around whom this film has been organically cultivated, who’s the revelation this time around. But Miranda July as Madeline’s mother and Molly Parker as a theater director are outstanding, too, as opposing forces, each staking a claim on Madeline in a series of manipulative microaggressions, some intentional, some not, that drive Madeline toward the promise of the film’s title. Also coming up in the Forum’s program is Guy Maddin and Evan and Galen Johnson’s The Green Fog, which premiered last April as a sort of commissioned project for the San Francisco International Film Festival. The Green Fog saw a limited run in the States last month, and James Kang has gathered reviews at Critics Round Up. 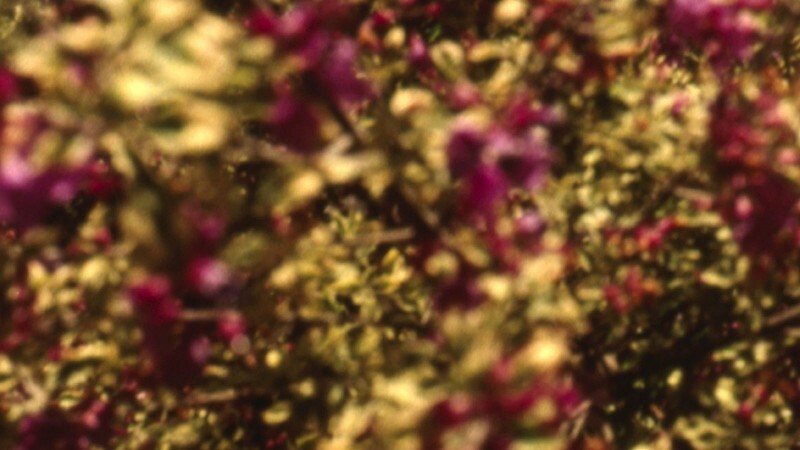 There is more tonal variation than the trailer suggests in this sixty-two-minute “adaptation” (the filmmakers’ word) of Alfred Hitchcock’s Vertigo (1958) in the form of “footage repurposed from movies and television shot or set exclusively in San Francisco” (again, the filmmakers). While the frenzy of much of Maddin’s past work, inspired by his passion for films of the silent era, particularly the German Expressionists, and the ecstatic chaos of Maddin and the Johnsons’ previous collaboration, The Forbidden Room (2015), all go missing, there’s something of a slow motion slapstick sensibility at work. A sequence of bodies falling, for example, an extended series of “aieeee!” moments, ultimately undercuts expectations with an abrupt, anticlimactic thud. The slapstick is slappier in Accidence, the ten-minute short that’ll precede The Green Fog. It might be seen as an homage to another Hitchcock classic, Rear Window (1954), albeit in one long take and with maybe a couple of dozen more windows. A crime is committed here, too, and evidently, not once but twice, and while we’re at it, the shenanigans on adjacent balconies, and those above and below, and behind the curtains, and in the shadows—not all of those look perfectly legal, either. Whether or not choreographing this multi-ring circus was as daunting as it looks, it’s the one of the two Maddin/Johnsons works at the Berlinale this year I’m most anxious to see again. “In some ways it’s difficult to define who Isle of Dogs is really for,” finds Hannah Woodhead at Little White Lies. Update, 2/23: “A lot of risks are taken in a movie that bridges countries, politics and species. The intricacy of Anderson’s craft is more tangible than ever, as a pattern of mirror images and opposing dualities punctuates the film,” writes Ella Kemp for Vague Visages. Update, 3/18: “20th Century Fox are hosting a special exhibition of original sets and puppets from the film,” notes Hannah Woodhead at Little White Lies. It’ll be free to Londoners from March 23 through April 5. Writing for Vulture, Charles Bramesco pinpoints the references in Isle of Dogs to Kurosawa’s Stray Dog (1949), Seven Samurai (1954), Throne of Blood (1957), High and Low (1963), and Ran (1985). IndieWire’s Anne Thompson talks with co-writer Roman Coppola—and with Anderson about Roman Coppola. More from Nicholas Bell (Ioncinema, 3.5/5), David Edelstein (Vulture), Simran Hans (Reverse Shot), Odie Henderson (RogerEbert.com, 1.5/4), and Chris Klimek (NPR). At the Playlist, Gregory Ellwood listens to Bill Murray and Jeff Goldblum chat about the movie and whatever else crosses their minds, while Matt Patches at Thrillist talks with Bob Balaban. More from Dan Schindel at Hyperallergic. Meantime, Sophie Monks Kaufman interviews Anderson for Little White Lies, and Belle Hutton (AnOther) and Rachael Steven (Creative Review) take a close look at the making of the sets, currently on view at The Store X on The Strand in London through April 5. And on the new episode of Represent (26’55”), Slate’s Aisha Harris and Mashable’s Angie Han discuss cultural representation in the film. 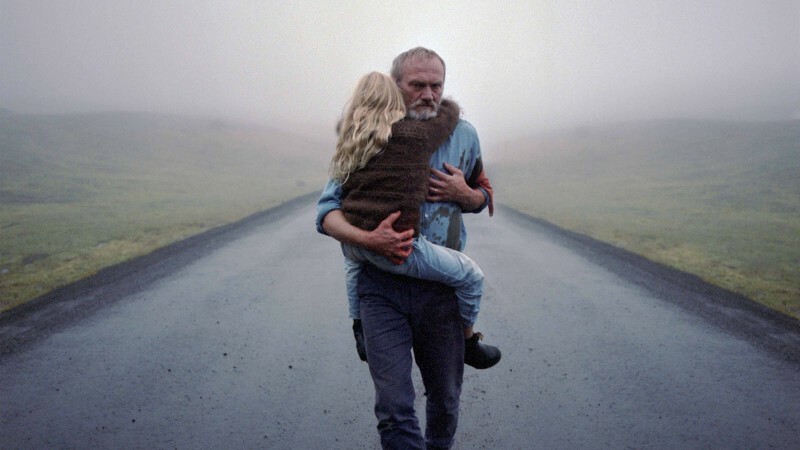 José Arroyo and Michael Glass discuss the “cinematography, compositions, lightness of touch, allegorical relationship to reality, and place in Anderson’s body of work. We also reserve particular praise for Bryan Cranston’s vocal performance and Alexandre Desplat’s score.” (28’06”).